Why did it matter that they were Muslim? Why did it matter that the pilots were Muslim? That’s the question I’ve been asking myself every time I read or watched one of the theories surrounding the tragedy of Malaysia Airlines flight MH 370. Understandably, after the flight was missing for more than a week, one of the theories that emerged centered on hijacking. Almost immediately, the American media started pointing to the fact that both the pilot and the copilot (as well as presumably a majority of the passengers and flight attendants) were Muslim. My question is, why does that matter? Or more specifically, why does that matter when assessing whether or not a hijacking has taken place? In the wake of 9/11, the American media has become obsessed with the trope of Muslim-as-terrorist. Yet the country on average remains blissfully ignorant of a) what exactly Islam is and who exactly Muslims are, and b) the history of terrorism. For instance, it probably surprised most citizens (and newscasters) to learn that the largest Muslim country in the world is not, in fact, in the Middle East. It’s in East Asia, and is Indonesia, the country that borders Malaysia. It probably surprised many to learn that Malaysia is a Muslim majority country as well, with around 61 percent of the population professing Islam as their religion. In fact, most of the world’s Muslims live in South or Southeast Asia, and only about 20 percent of the world’s Muslims live in Arab countries. It also probably shocks most people to find out that more terrorist attacks on US soil since 1980 have been carried out by Jewish extremists than Muslims. 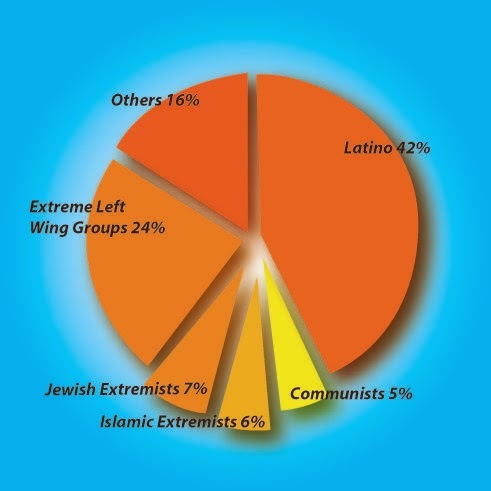 You read that right: Jewish extremists. Yet I’m guessing that if the flight had been piloted by a Jewish person rather than a Muslim, their religion would never have been brought up in musings over whether the flight had been hijacked. While we here at the Global Atlas have exhaustively covered the crisis in Ukraine over the last several months, thousands of miles away, Venezuela has been experiencing their own unrest for over a month at this point. Current reports put the death toll in the low 30s, including several students and national guardsmen. President Nicolas Maduro has, as he often does when things go awry in his country - blamed the West at times, and nebulously blamed "terrorists" at others. 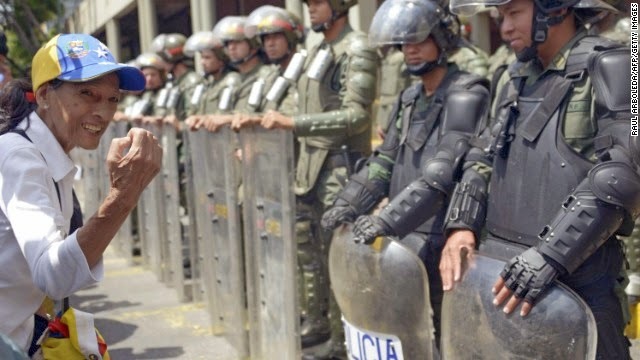 The government has made no concessions to the protestors, who gather at night most often to battle with police and military, and it appears that while things are not necessarily escalating, there is no real end in sight for the unrest. In an obvious, and perhaps intentional, contrast to the adversarial and widely reported conversation between Putin and Obama, China’s state-run media noted a conversation between Chinese President Xi Jinping and Putin that may bring further distress to those concerned about the ramifications of Russia’s actions on the state of US prestige and global position. 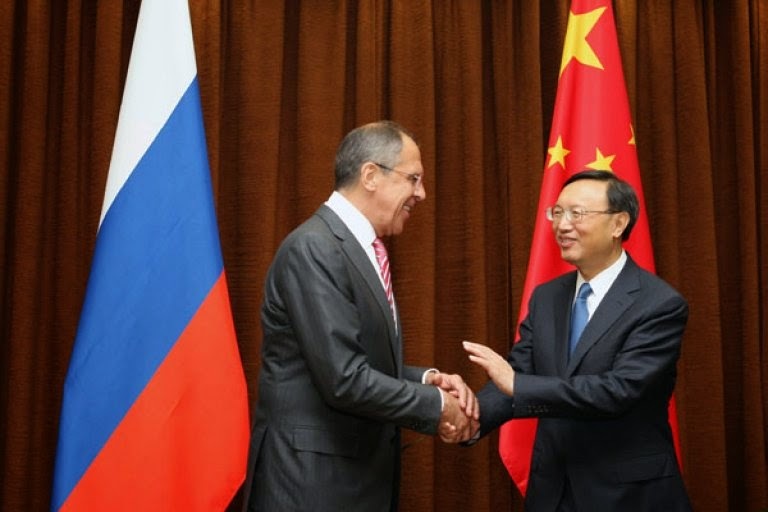 The conversation, during which Xi offered his approval of Russia’s response to the crisis in Ukraine and reaffirmed his commitment to “advancing strategic cooperation” between the two countries, may indicate a coming Chinese “tilt” toward Russia. The powderkeg that is the northern Black Sea right now has been thoroughly reported on recently. As it stands this week, Russia has situated reinforcement troops on the predominantly pro-Russian Crimean peninsula, which is under Ukrainian sovereignty. Furthermore, with Russia’s highly valuable “Black Sea Fleet” located in Crimea, the peninsula holds significant value both culturally and logistically for Russian President Vladimir Putin. It’s no surprise, then, that he has more or less ignored calls for de-escalation from the Western world; some may argue that he has in fact done the opposite and escalated the situation further. 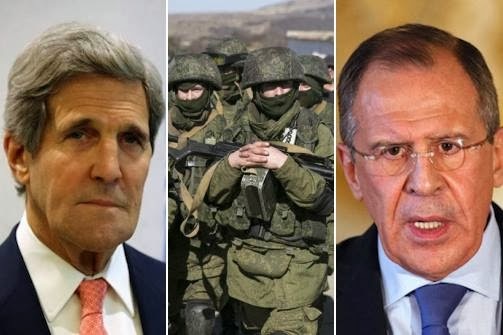 Thursday, amidst fresh sanctions from the U.S. restricting visas for Russians and Ukrainians found to be exacerbating the tension, it was announced that Crimea would be holding a referendum on whether or not to secede from Ukraine and officially become Russian territory. U.S. President Obama has declared this referendum outside of the realm of international legality; however, its legitimacy in the eyes of the international community shouldn't be of significance. More alarming is the fact that it is happening at all, and that Russia appears to have the upper hand. Thursday’s referendum starts a very slippery slope that ends with last-century showmanship and a renewed emphasis on “spheres of influence,” things the United States cannot afford nor wants at this stage. While the past several weeks have brought about numerous developments, both positive and negative, the worst development is perhaps the notion that Russia is in the process of effectively deteriorating universal geo-political practices of the post-Cold War era, returning the international community to the much darker period of the second half of last century. Recently my fellow graduate student at BU and editor of this blog Vicky wrote an excellent piece on Russia’s invasion of Crimea. While a self-admitted non-expert on Europe or the Former Soviet Union her piece has some excellent analysis and is well worth the read. However as someone who aspires to be an expert on Russia and the Former Soviet Union I wanted to add my 2 cents partly as rebuttal but mostly to inform especially considering our media’s awful coverage. In many ways Vicky and I agree on the many of the United States foreign policy failures and problems in President Obama’s second term. I agree with Vicky’s Meta analysis, our grand strategy is non-existent and the second term National Security process is a disaster. I blame much of this on Obama’s poor second term national security team which possess few independent strategic thinkers. What many are accurately calling Europe’s most dangerous crisis since the Cold War is a direct result of issues unsettled after the end of that particular “War”. This process along with recent blunders by the EU in particular, but also the United States and Russia, has brought us to this point. For this article I do not comment on these wider international relations issues but analyze the interests of Russia in initiating the Crimean crisis and the potential Western response. As the crisis in Ukraine enters its fifth month since ousted President Viktor Yanukovych turned down an EU association deal in November, Russian troops have left their bases in Crimea and occupied the peninsula. Russian President Vladimir Putin claims the move is essential to protect ethnic Russians, who are allegedly at risk from militant nationalist, anti-semitic, and otherwise violent groups. While this claim is shaky at best, given Crimea’s strategic importance to Russia (whose Black Sea fleet is stationed at Sevastopal), it is not altogether shocking that Russia would move to secure the region in the face of growing instability in Ukraine. What remains less clear are the options now open to US President Barack Obama in responding to the crisis. 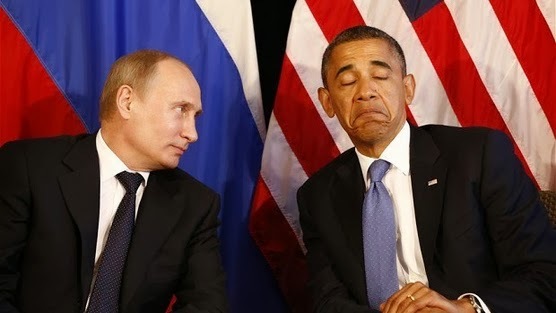 Wishy-washy and inexact condemnations and threats have left much to be desired, and many are already claiming that foreign policy is at an all-time low in Obama’s second term. One side of the aisle points out his weakness, while the other calls attention to the irony of this rhetoric. Yet few of these voices offer any tangible actions the President could take to diffuse the crisis, if not end it altogether. The following are some of the options the Obama administration has when it comes to confronting Russia on its recent incursion.